There has been an unbroken circle of illness going around the house over the past two weeks. So much so that a lot of our plans have completely gone out the window. Such is winter, I guess. Anyway, yesterday to ease unsettled tummies, I made chicken noodle soup. Actually, I made chicken and goose noodle soup, as I found both chicken and goose bones in the freezer. This won't be canned as it's needed now. Today I made "kitchen sink cookies," meaning chocolate chip cookies but with anything and everything in them. Some of the things I'd been hoping to add had gone bad, including pretzels (really? yes, pretzels can apparently go bad) and peanuts, so here's what was in them: mini chocolate chips, white chocolate chips, coarsely chopped almonds, coconut flakes, craisins, raisins, and mini marshmallows. I should try to remember not to bake with marshmallows. They melt and caramelize before anything else bakes. 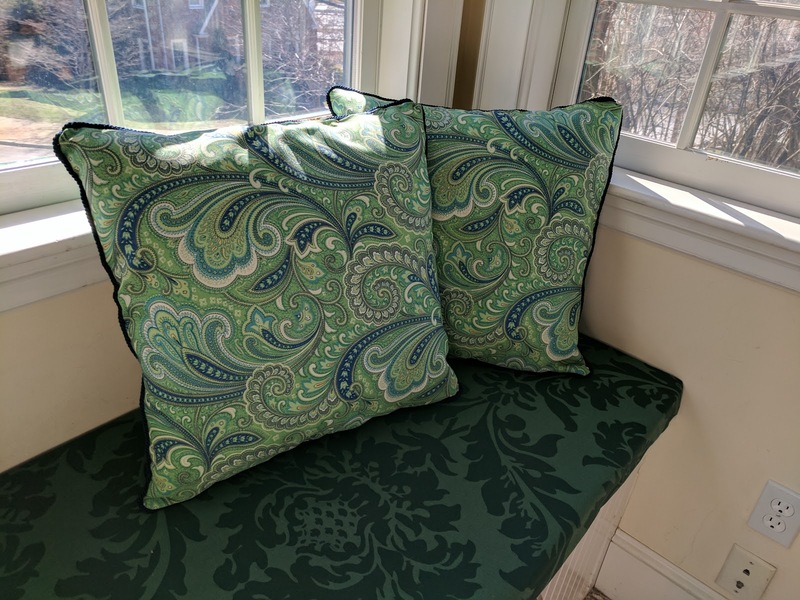 However, having a weekend in which I am stuck in the house helped me finish another project. Mocha, our rabbit, has a problem with textiles. By that I mean he finds some of them irresistible. So about a month ago my husband recovered the window seat. 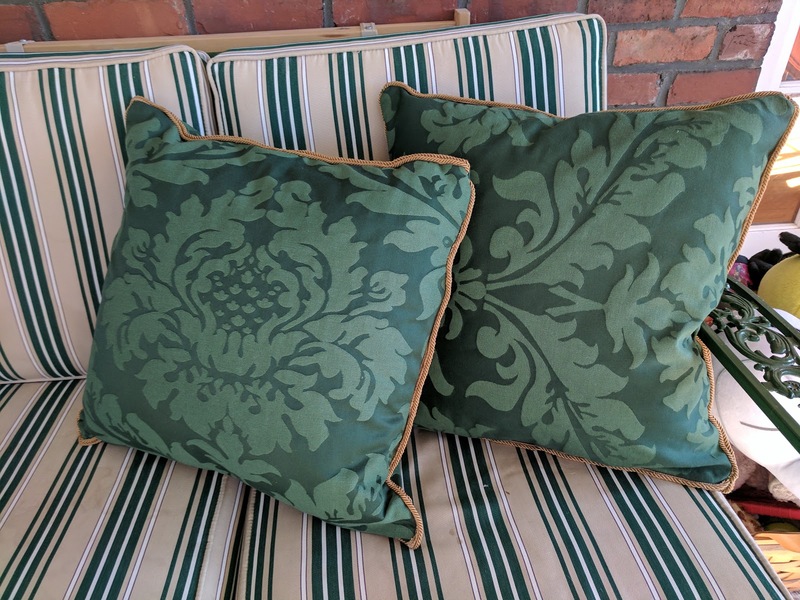 I took the leftover fabric, bought a contrasting but complementary fabric, some trim, and a few pillow forms and, very slowly, made replacement pillows. I finally got them all done today. Just don't look too closely at the seams!